At Innovative Auto Craft, we’re known throughout the Los Angeles area as specialists in luxury, sport, and exotic vehicle collision repair. Regardless of the type or extent of damage, our experts can bring a vehicle back to factory condition, carefully addressing every single detail imaginable. 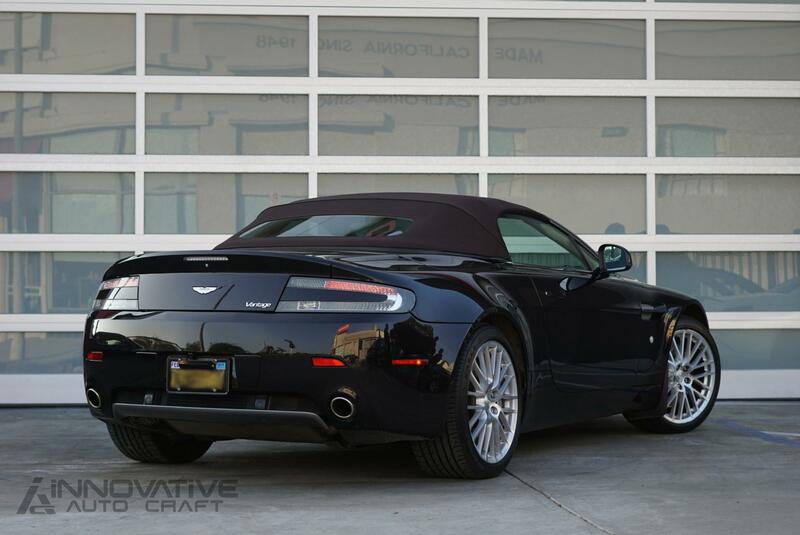 When this Aston Martin Vantage got to Innovate Auto Craft, it was scarred with collision damage across the side of the body, including the wheels. The owner of the vehicle was looking for a body shop that could handle the job and ensure that the vehicle’s quality would be upheld. Our team at Innovate tackled this project head-on, with multiple technicians working together to give the car its original beauty back. At the end of this collision repair project, every single part of this vehicle that had been impacted by the collision was fully repaired, leaving absolutely no indication that it had been involved in a collision. The keys were handed back to the owner with the Vantage back to its full glory. Throughout the process, only the finest quality original paint materials and all original parts were used. 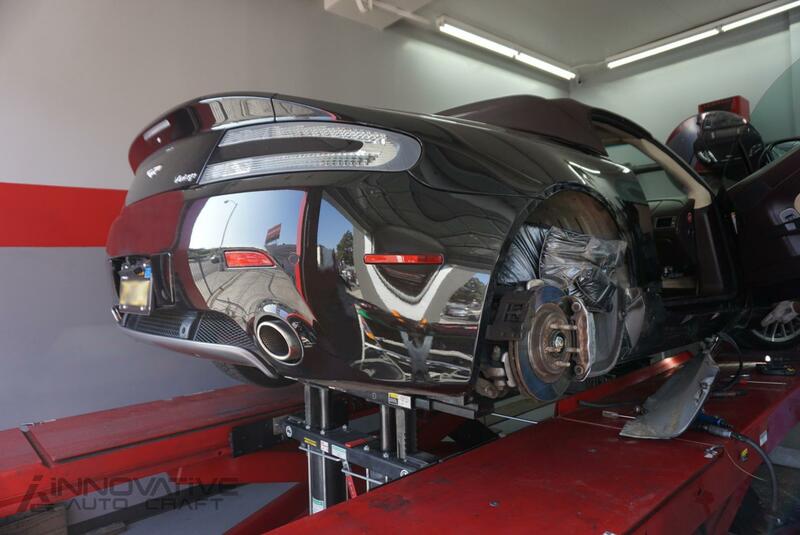 For a body shop in Los Angeles that can repair and service your high-end vehicle with care and precision, Innovative Auto Craft is the most trusted name. After 25 years in the industry, we’ve built a reputation as being committed to performing quality work that has continued to set the standard.